The perfect fluffy scrambled eggs require nothing more than some eggs, a little technique, and a little bit of butter. 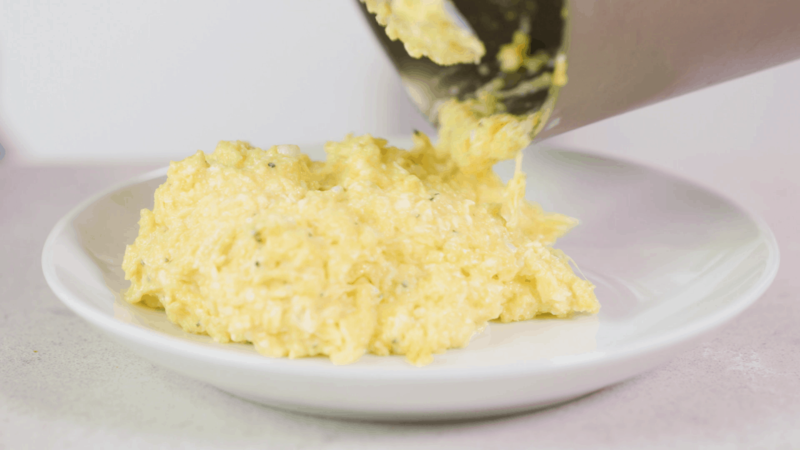 This will change the way you make scrambled eggs forever! Here at The Stay At Home Chef we know that sometimes it helps to have a review of basic cooking skills. 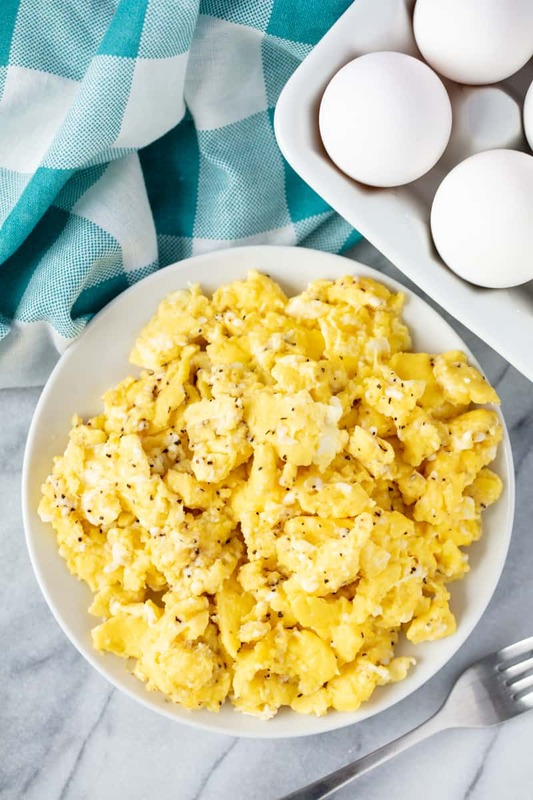 The method for scrambled eggs described here is a combination of the Gordon Ramsay method and the Alton Brown method. This combination takes the best of both and makes it approachable to the home cook. 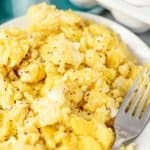 Do you add milk for scrambled eggs? You DO NOT have to add milk to scrambled eggs. We have found that the best fluffy scrambled eggs are made without milk, and instead use butter. 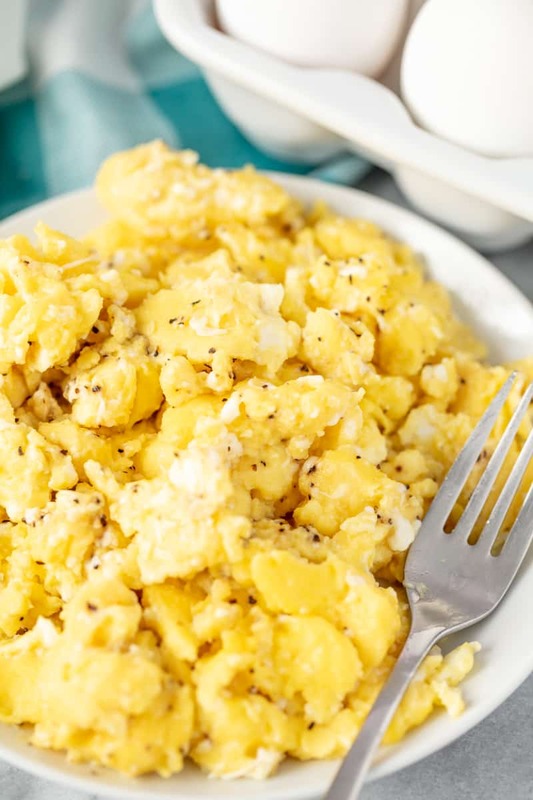 Are scrambled eggs good for you? Eggs are packed with high-quality protein, vitamins, minerals, and healthy fats. They also contain all nine essential amino acids that the body needs and can not produce on its own. Meaning in a well-balanced diet eggs can be among some of the healthiest food you can eat. Should I make scrambled eggs in a skillet or in a saucepan? We have found that a small saucepan is better for making scrambled eggs than a skillet. The shape of the saucepan traps the heat differently and is able to cook our eggs from the side and slightly from the top as well as from the main heat source on the bottom, providing a better cooked fluffier scramble. We also found that nonstick saucepans work better. Chef’s Note: This recipe can easily be doubled or tripled to serve more people. 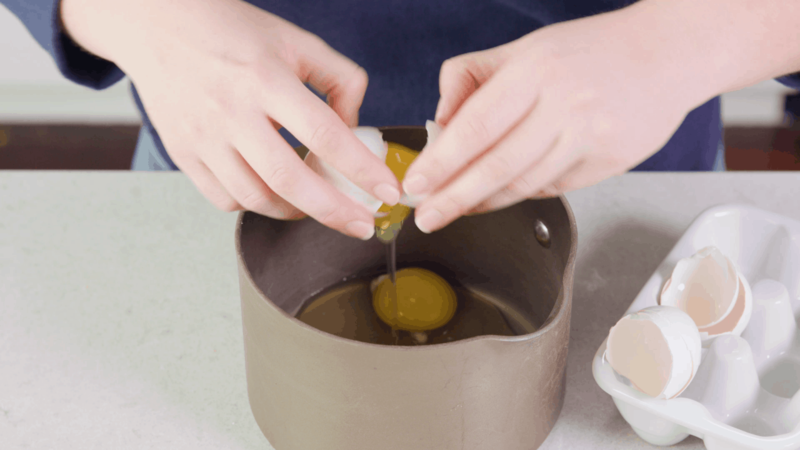 Crack eggs into a small cold saucepan. Add in butter. Place saucepan over medium high heat. 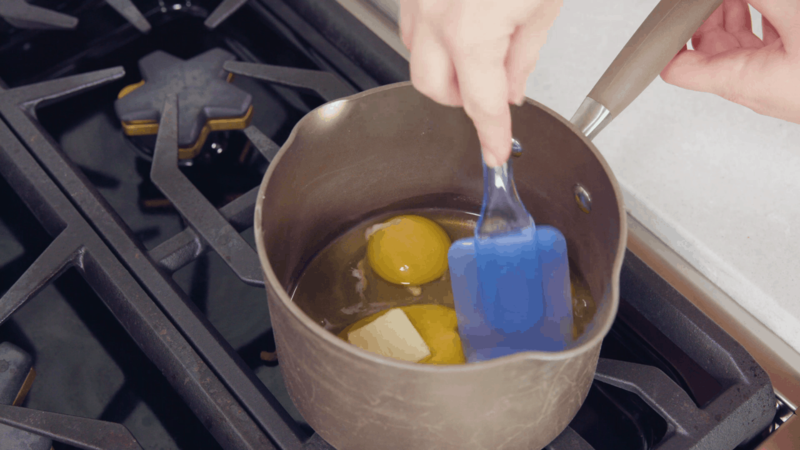 Use a rubber spatula to stir the eggs and slowly start breaking them up as the butter melts. 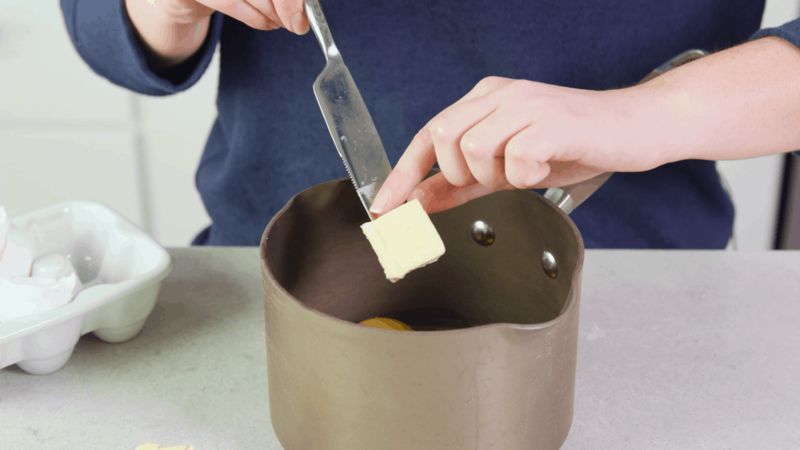 Once the butter has melted and the eggs start to thicken, reduce the heat to medium-low. Cook, stirring constantly, until eggs become solid and start to lose their shine. Remove from heat immediately and season with salt and pepper. Give it a quick stir and serve hot. Eggs will continue to cook for a couple of minutes once removed from pan so the trick is to remove them from the pan just before they are actually done. This seems quite simple. But your presentation and step by step process makes it more interesting. This is very easy and good as a quick fix. I love recipe’s so thank you.